An explosion reportedly occurred on Monday, November 28, 2011 somewhere in or near the city of Esfahan in Iran. 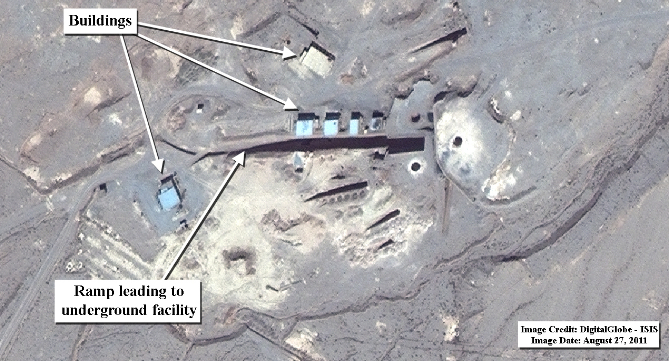 The Times reported that the blast occurred at the Esfahan nuclear site and that it has seen satellite imagery that showed “billowing smoke and destruction.” The Times also cites “Israeli intelligence officials” as claiming that the blast was “no accident.” ISIS has acquired DigitalGlobe satellite imagery of the Esfahan nuclear site taken on December 3, 2011 and December 5, 2011. 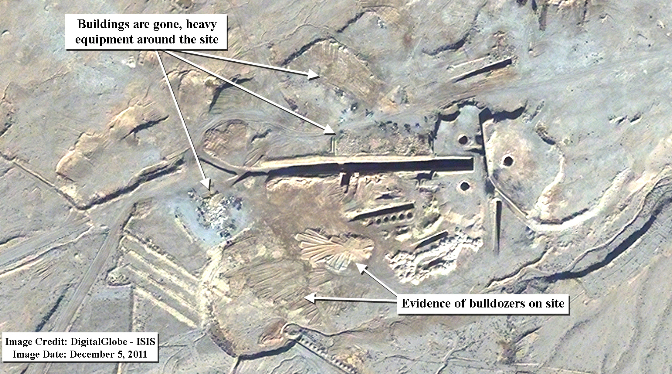 There does not appear to be any visible evidence of an explosion, such as building damage or debris, on the grounds of the known nuclear facilities or at the tunnel facility directly north of the Uranium Conversion Facility and Zirconium Production Plant at the Esfahan site (see figure 1). It is still unclear where the reported blast occurred in Esfahan and whether it occurred anywhere near the nuclear facility. ISIS has identified a facility near the Esfahan nuclear site that underwent a significant transformation recently. 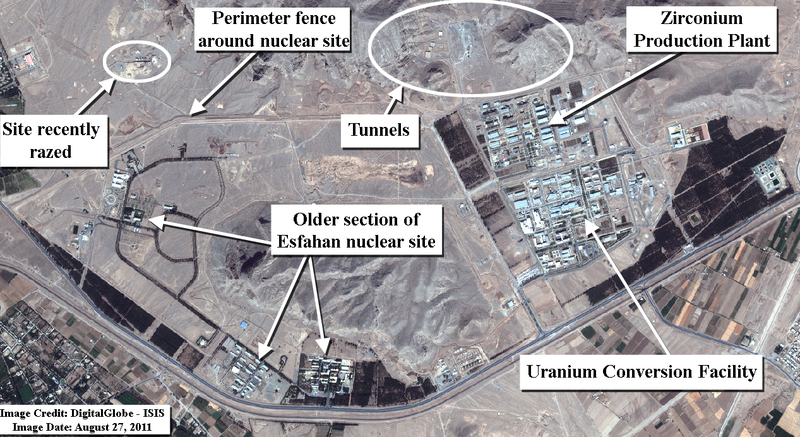 The facility is approximately 400 meters away from the edge of a perimeter fence that surrounds the Esfahan nuclear site (see figure 2). 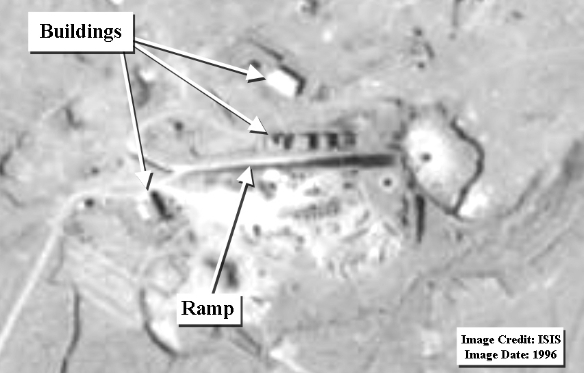 An August 27, 2011 satellite image shows that the facility consisted of a ramp leading underground with several buildings along the surface (see figure 3). 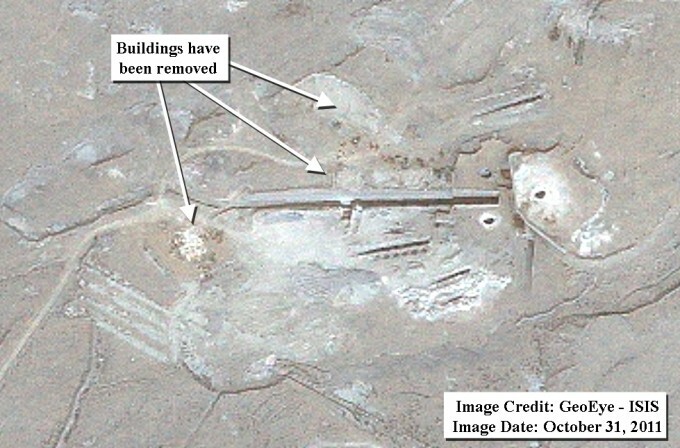 In a December 5, 2011 satellite image, the buildings are gone, heavy equipment can be seen around the site and there is evidence of bulldozing activity (see figure 4). These buildings were present on the site for at least 15 years (see figure 5). It is unclear how and why the buildings are no longer present at the site. Update: ISIS has learned that the buildings at this facility were being demolished prior to November 28, 2011. ISIS has acquired a commercial satellite image taken on October 31, 2011, one month before the reported explosion, that shows the buildings at the site already razed (see figure 6). It is also unclear whether this transformation is related to the November 28th, 2011 blast reported to have been heard throughout Esfahan. Figure 1. 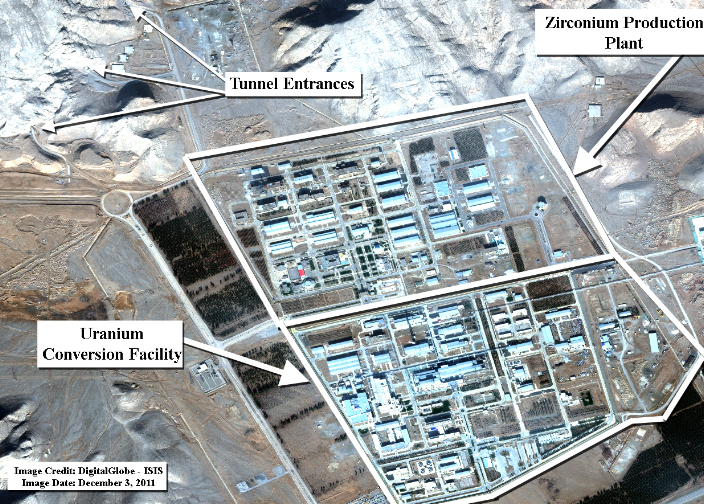 December 3, 2011 DigitalGlobe satellite image of the Uranium Conversion Facility, Zirconium Production Plant and entrances to a tunnel facility at the Esfahan nuclear site. There does not appear to be any visible evidence of an explosion at these facilities. Figure 2. Wide-view of the entire Esfahan nuclear site. The facility that underwent significant transformation recently is approximately 400 meters from a perimeter fence that surrounds the Esfahan nuclear site. It is unclear if this facility is related to the Esfahan nuclear site. Figure 3. August 27, 2011 satellite image showing the facility before a November 28, 2011 explosion reportedly heard throughout Esfahan. Figure 4. December 5, 2011 satellite image showing the facility after a November 28, 2011 explosion was reportedly heard throughout Esfahan. The buildings on the site are gone. Large equipment and evidence of bulldozers on the site can be seen in the image. It is unclear how and why the buildings are no longer present at the site. Update: ISIS has learned that the buildings at this facility were being demolished prior to November 28, 2011. Figure 5. Satellite image of the same facility from 1996. All of the buildings seen in the August 27, 2011 image can be seen in this 1996 image as well. Figure 6. Satellite image of the same facility from October 31, 2011, about one month before the blast reportedly occurred in or near the city of Esfahan. The buildings have already been removed by this date.